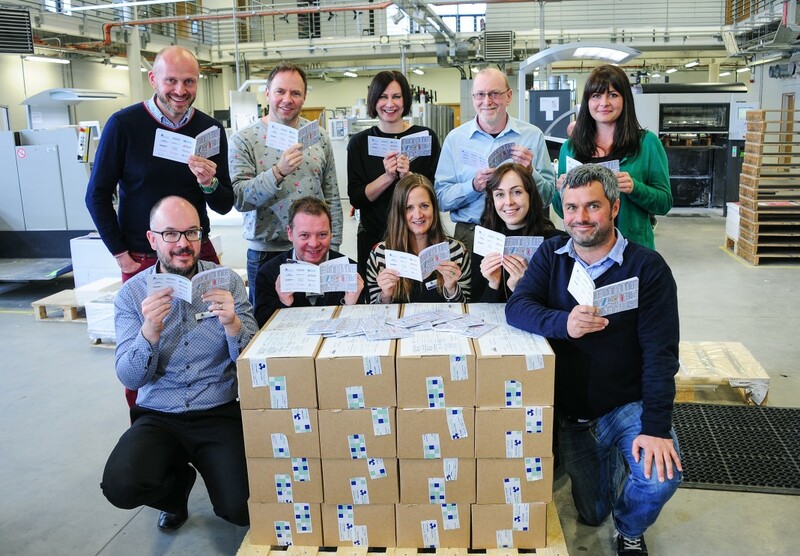 A group of Cornwall’s finest creative minds joined forces to write a book as part of World Book Day. The challenge to form a story was created by St Austell Printing Company (SAPC). Each contributor had just 140 characters to write their part of the story after being given the last five words from the previous writer. The writers also had to supply an image that illustrated their text. SAPC’s marketing manager, Cat Wilkins, who developed the concept, said: “We really wanted to channel the hive mind of the creative industries in Cornwall and see if we could create a narrative. The project started with Magda Pieta from TJ International writing the first 140 characters. Magda Pieta from TJ International said: “It is great to see collaborative efforts in appreciation of storytelling in a printed book. Cornwall is a fantastic hotbed of creatives and seeing them come together to be a part of something so desirably tangible, is really exciting. “TJ has been making books for over 40 years and the novelty has yet to rub off. Each project is unique, especially when you’re so involved from the very early stages. Once the pieces of the story were compiled, SAPC’s designers and printers created the book, which will be sent clients and associates, as well as the contributors. Wilkins added: “It’s been exciting to see the words taken and turned into a finished book. The other contributors were: Cat Wilkins, Becky Dibb and Ben Pipe from St Austell Printing Company; Hannah Vaughan and Magda Pieta from TJ International; Annys Brown and Davitt Steed from Design 79; Helen Stephens from Absolute; Bob Croxford from Atmosphere; Karen Barnett and Simon Farnell from Parc Signs; Lorna Tremayne and James Stephens from The Lost Gardens of Heligan; Mark Picken from MPAD; Esme Hocking and Melanie Chadwick from Leap Design for Change; Gemma Richards from Fluid Branding; Toni Eyriey from Business Cornwall; and James Neale and Luke Holland from Idenna.